Fully Synthesizable PUF Featuring Hysteresis and Temperature Compensation for 3.2% Native BER and 1.02 fJ/b in 40 nm. IEEE Journal of Solid-State Circuits, 53 (10): 8456830, 2828-2839, October 2018. PUF bitcell layout and die photograph. Standard cell-based design flow for PUF array design. This paper presents a hardware physically unclonable function (PUF). Hardware PUFs are what others would refer to as the silicon biometrics. 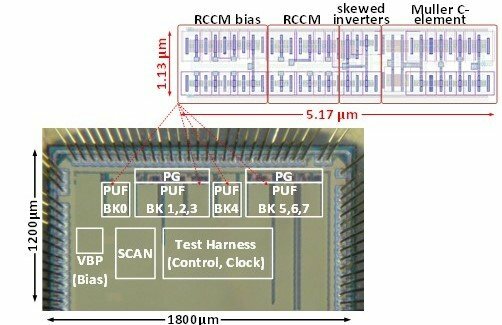 They generate random numbers that are unique to every chip, similar to having unique fingerprints per person. These unique random numbers are then used as an ID for authentication or as a secure “password” for data security. During manufacturing of chips, some parameters of the transistors slightly change due to limitations of the manufacturing process and the materials used. While typical designs try to minimize these variations, PUFs leverage on these variations and amplify them to generate random bits. To be viable for chip identification, authentication and security, however, these random bits must be stable (should not change over time or under changing environment) and the design should be small and consume the least amount of power or energy. The work presented in this paper is so far the most stable and consumes the least energy per bit, compared to the state-of-the-art. Operative and Consultative Proportions of Neurosurgical Disease Worldwide: Estimation from the Surgeon Perspective. Journal of Neurosurgery, https://doi.org/10.3171/2017.10.JNS17347, 1-9, 11 May 2018. Estimated proportion of cases requiring neurosurgical operation. For all disease categories, each circle represents aggregated data from every WHO region and WB income group. The diameter of each circle is directly proportional to the percentage of cases that respondents believe requires neurosurgical operation. On the other hand, color represents the mean confidence of the respondents. The light-to-dark spectrum corresponds to a confidence range from 60% to 100%. See the legend for Fig. 1 for definitions of abbreviations. Figure is available in color online only. Neurosurgeons are doctors who operate on the brain and spinal cord. Diseases that require neurosurgical consult and, potentially, operative intervention include tumors of the brain and spinal cord, traumatic brain and spinal cord injuries, congenital malformations such as hydrocephalus and neural tube defects, vascular anomalies such as aneurysms and arteriovenous malformations, stroke, central nervous system infections, degenerative spine disease, and epilepsy. 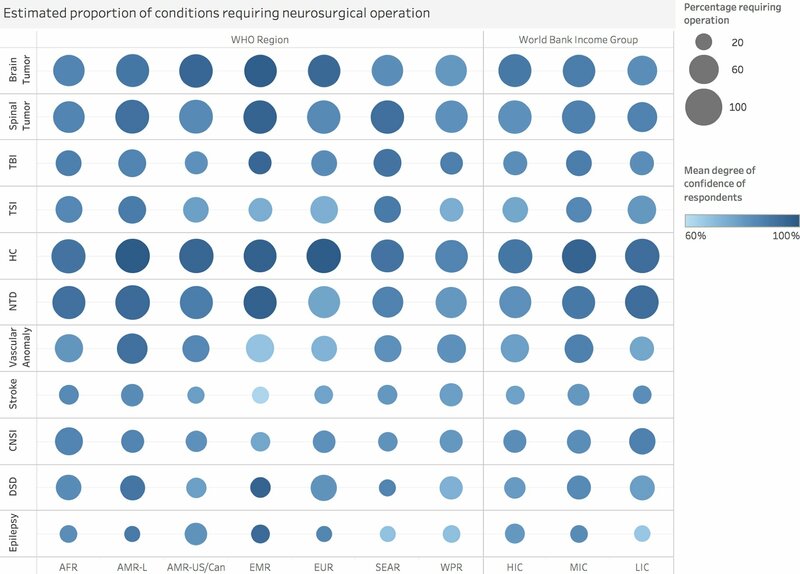 In this study, the authors surveyed neurosurgeons worldwide to ascertain the proportion of patients with the aforementioned neurologic diseases who, in their opinion, would require neurosurgical consult and operation. 85 neurosurgeons from 57 countries completed the survey. Results showed that brain and spinal cord tumors, hydrocephalus, and neural tube defects were most likely to warrant neurosurgical consult, and these were the same diseases most likely to require neurosurgical operation. There was a high level of confidence in the responses of the neurosurgeons, and the estimates did not vary significantly worldwide. On average, the surgeon respondents perform 245 cases annually. On a 100-point scale indicating a surgeon’s perceived workload (0—not busy, 100—overworked), the respondents considered their mean workload to be 75. Duterte’s Image Building in the 2016 Philippine Presidential Debates. SEARCH: The Journal of the South East Asia Research Centre for Communication and Humanities, 10 (2): 1-30, 2018. Debates are an interesting platform for image building given that they are only partially controlled by the candidates. 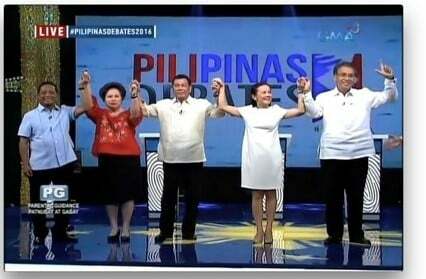 This study looks into how President-elect Rodrigo Duterte harnessed the potential of the 2016 Philippine presidential debates for image building. 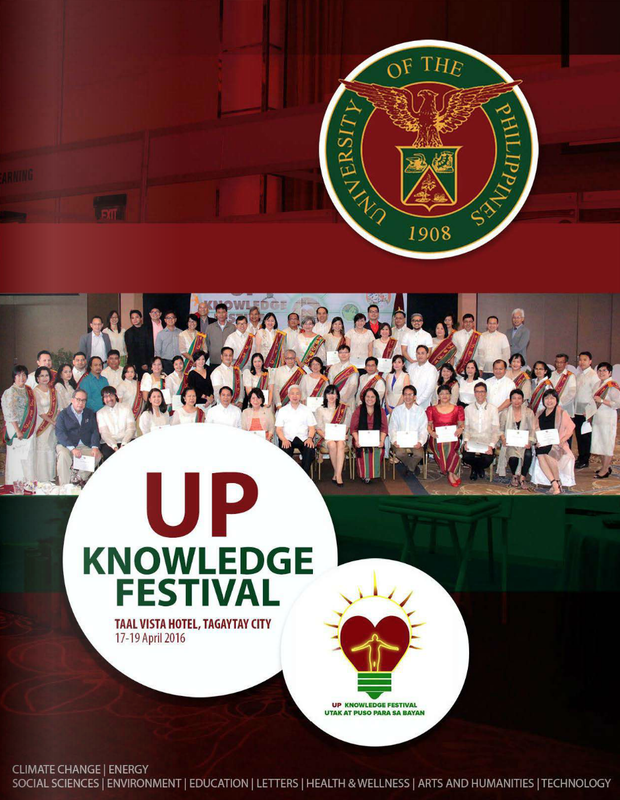 The objectives of the study were to explain the role of mediation in Duterte’s image building, uncover Duterte’s strategies and topics in the debates, and critique the arising discourses in the televised debates. Using Fairclough’s Critical Discourse Analysis (CDA) and Benoit’s Functional theory of political campaign discourse, this paper argues that mediation shaped and influenced Duterte’s strategies and topics. Duterte used the dominant strategies of acclaiming and attacking in line with media’s quest for spectacle and controversy. 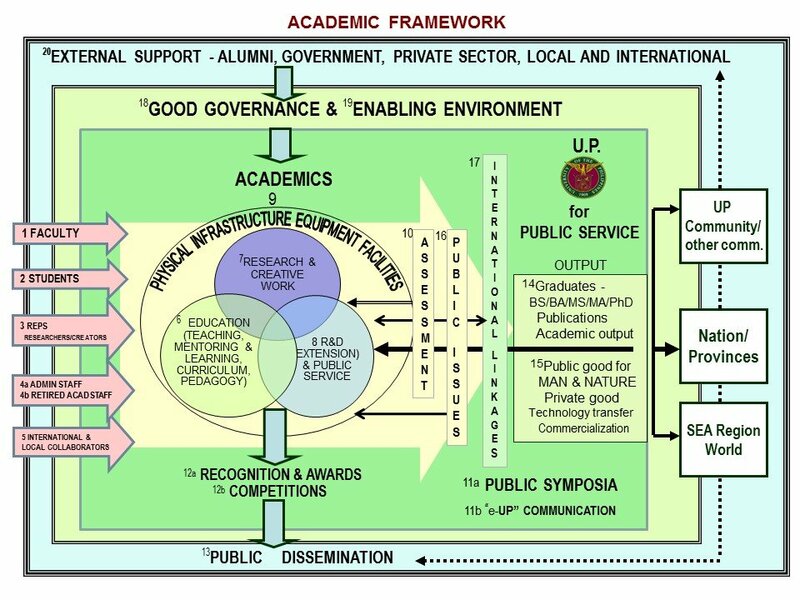 Moreover, Duterte had more policy pronouncements (issue topics) than character statements (image topics) which resulted in two dominant discourses—the discourse of provision and protection. A critique of these discourses reveals that Duterte used the debates to peddle an image of a paternalistic, iron-handed leader who resorted to shortcuts and appeals to expediency at the expense of more informed policy discussions. Shape Optimization Approach for Solving the Bernoulli Problem by Tracking the Neumann Data: A Lagrangian Formulation. Communications on Pure and Applied Analysis, 17 (6): 2683-2702, November 2018. Figure 1: Initial and Final Shape of an Annular Domain. Figure 2. Initial and final shape of the annular domain Ω. 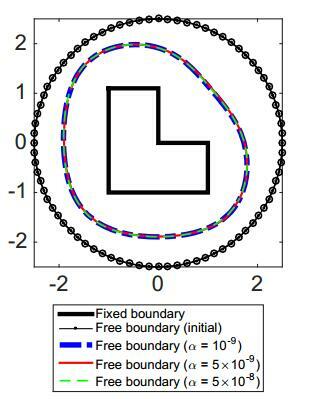 In this work, we consider a prototype problem for free boundary problems. In a free boundary problem, we are given a partial differential equation to which a state solution, say u, needs to satisfy boundary data and an additional `free boundary condition’. However, what is not known is the domain over which the solution should solve the partial differential equation. Here, we are interested in the so-called exterior Bernoulli free boundary problem wherein we are looking for a harmonic function u and unknown ring- shaped domain D whose interior boundary is known while the exterior boundary is not. On the fixed boundary, a single boundary condition is specified while on the free boundary, we need to satisfy two given boundary conditions. The difficulty with this problem is that the domain D over which we need the solution u to be harmonic is not known. Nevertheless, a method known as shape optimization is a well- established tool to solve such free boundary problem. So, in this work, we reformulate the Bernoulli problem into a shape optimization problem by considering a minimization problem of a least-squares fit of one of the boundary data on the free boundary. To numerically realize the minimization problem, we use a Lagrangian approach which involves the information about the first-order shape derivative of the cost function. We illustrate the feasibility of the proposed method through numerical examples. 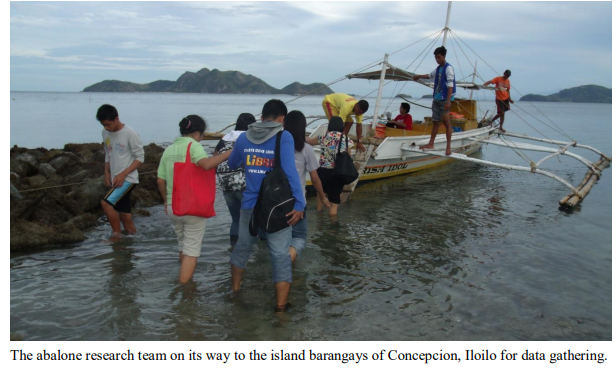 Prospects of Community-Based Co-Management of Philippine Abalone Fishery. Ocean & Coastal Management, 163: 185-191, 1 September 2018. This paper is about the declining abalone fisheries in the wild that has been ongoing during the last two decades. 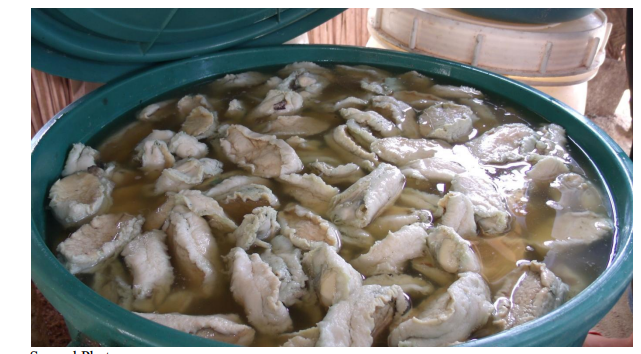 The reasons cited for this continuous decline of abalone production are: harvesting of juveniles and broodstocks, indiscriminate and destructive methods of gathering, more frequent occurrences of natural and anthropogenic disasters like strong typhoons, and the absence of a management plan by various local government units especially in island communities covered by the research where abalone are still abundant. The community-based co-management approach is being put forward to hopefully address the issue of declining abalone production in the wild. This approach has community organizing at its core and it has four interconnected components which are resource management, community and economic development and livelihood, capacity building, and, institutional support, networking and advocacy. In this approach various stakeholders in the abalone fisheries such as the fishers, local government units, fisheries agency of the national government, academic and research institutions should work together based on their resources and expertise. There will be conflicts in the sharing of responsibilities and authority but these are part of the collective learning process in CBCM. CBCM is not a cut-and-dried process or a one-size fits all strategy, rather, it should be seen as an adaptive and iterative process that is context-specific. Given the dynamic and complex realities of the various fishing communities, CBCM’s innate collective learning process hopes to result to better managed abalone fisheries that will still be enjoyed by future generations. Community-Based Recruitment for Clinical Trials Poses the Need for Social and Ethical Considerations. Journal of Clinical Epidemiology, 102: 78–86, October 2018. 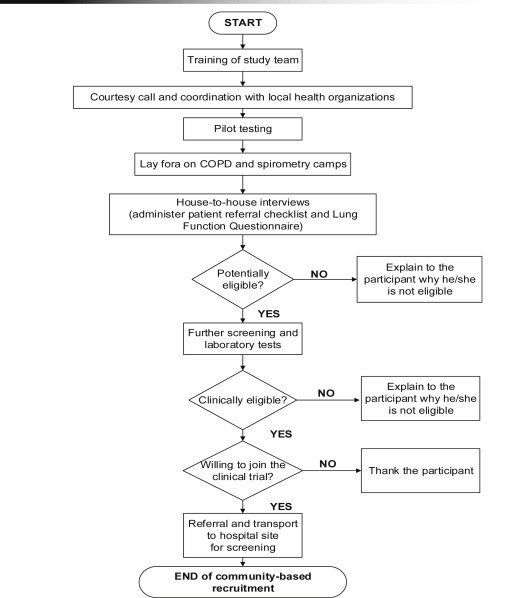 This article looked into the ways community-based recruitment complement hospital-based recruitment of patients for a worldwide study on chronic obstructive pulmonary disease (COPD). The researchers were trained on the different recruitment strategies and activities while the local officials and health personnel were informed about the research in order to increase the number of recruits. Interviews were conducted and lectures about COPD were done in five communities. Of 3,202 interviewees, 864 who were potentially qualified for the study were referred to the hospital sites. There were many issues and social factors that affected participation aside from the requirements of the research. Looking for patients in the community may increase the number of participants in studies on the efficacy of medicines. However, adopting a community-based strategy should be done at the start of the project, in fact, in its planning stage, with consideration given to the socio-economic situation of the individuals. 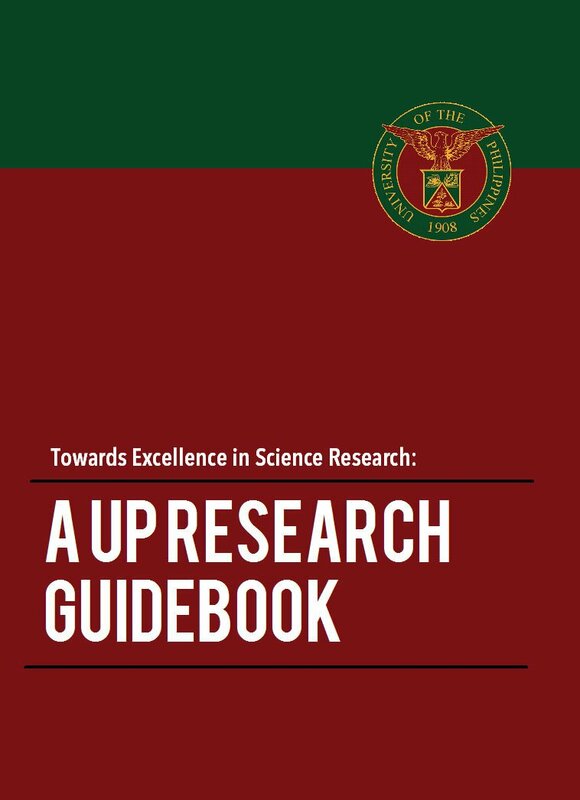 Furthermore, it is imperative that current ethical guidelines on research should include standards and procedures in community-based recruitment. 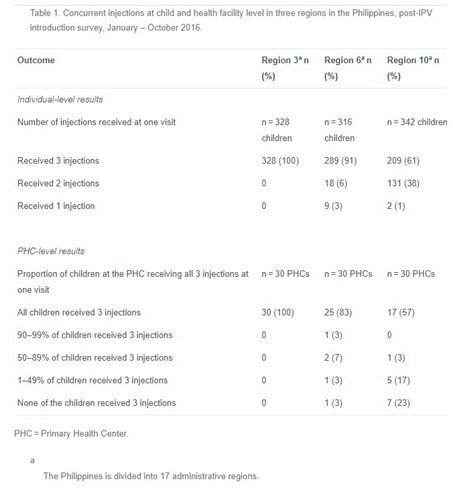 Introduction of Inactivated Poliovirus Vaccine in the Philippines: Effect on Health Care Provider and Infant Caregiver Attitudes and Practices. 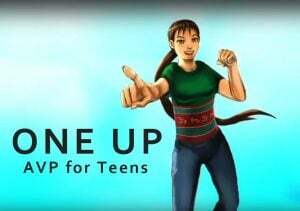 Vaccine, 36 (48): 7399-7407,19 November 2018. There is an increasing number of injectable vaccines in the routine vaccination program. Giving multiple injections in a single-visit is proven to be safe and effective. Yet, vaccination program managers fear that healthcare providers and infant caregivers may object to such practice. Our study showed vaccinators’ and caregivers’ insights, experience and practices through a field-based survey. Caregivers have a very high overall acceptance of three injections. They also have a high level of trust on healthcare workers. Healthcare providers desired more training to improve their knowledge on vaccination practices. The data obtained from this study was used by the Department of Health in the training and educational package on the vaccination program in the Philippines.